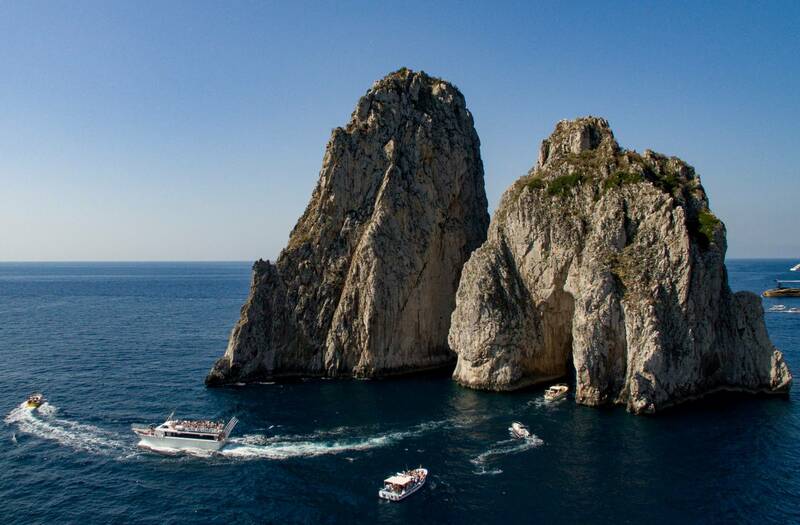 Get on board of a speed motorboat and enjoy a scenic ride along the Coastline. Arriving in Marina Grande, your guide will lead you to the Town center. 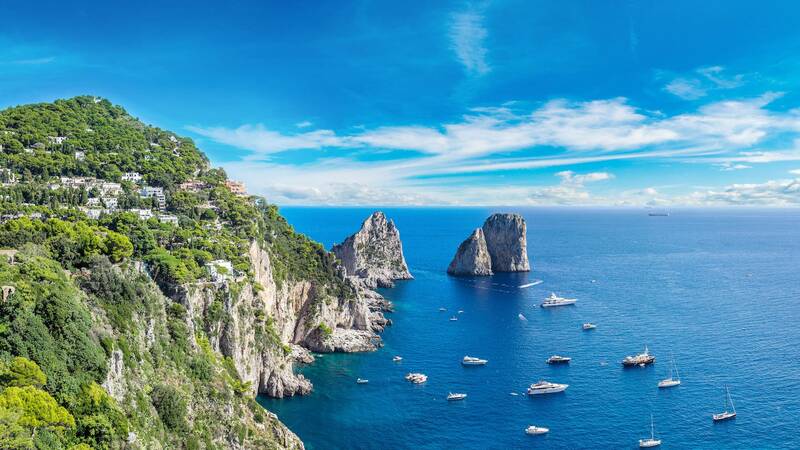 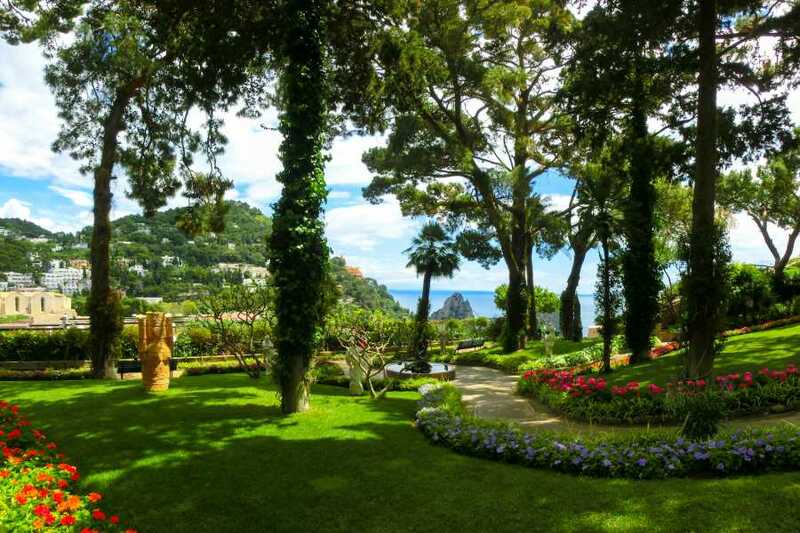 Walk along the narrow street that wraps the famous square, "La Piazzetta", reach the south of the island from where you can take stunning pictures of the Faraglioni Rocks and don't miss the opportunity to visit the wonderful "Augustus Gardens" overlooking the sea. 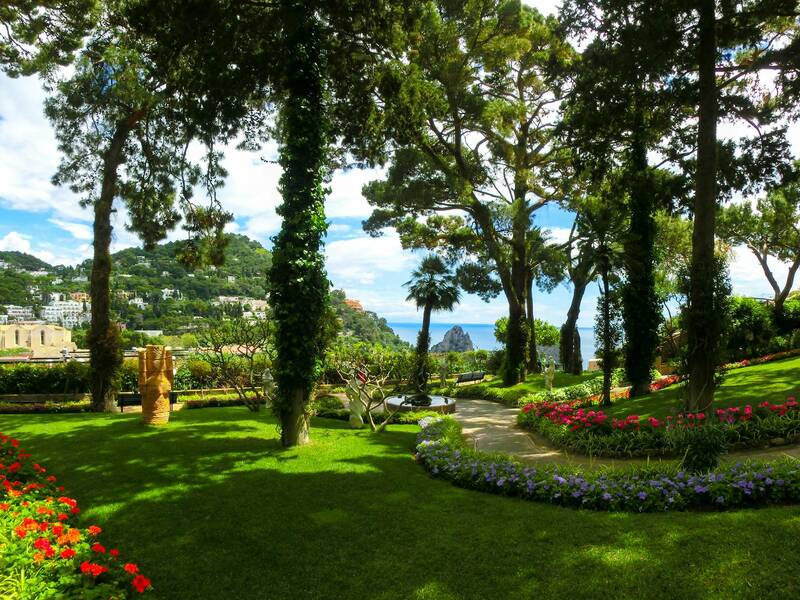 After the guided walking tour spends some free time at leisure exploring the surroundings. 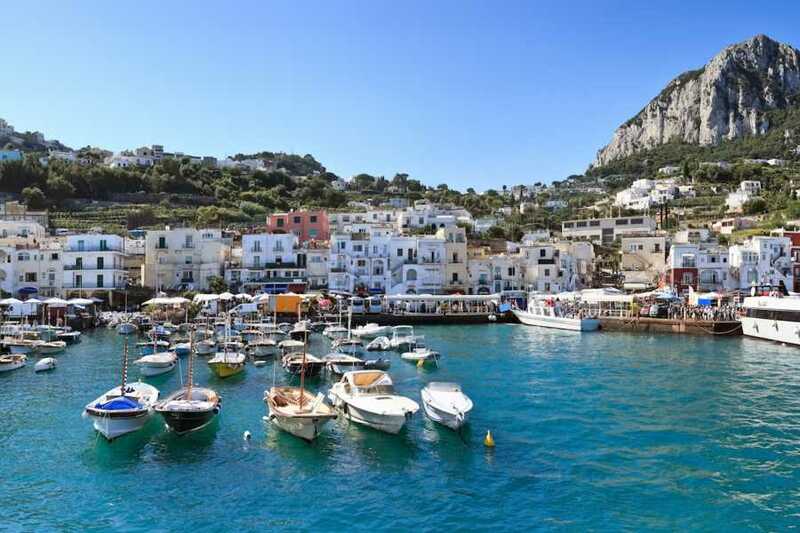 After you will meet again your guide down to Marina Grande, where you will do a boat trip around the island to admire its splendid caves before getting back to Sorrento. 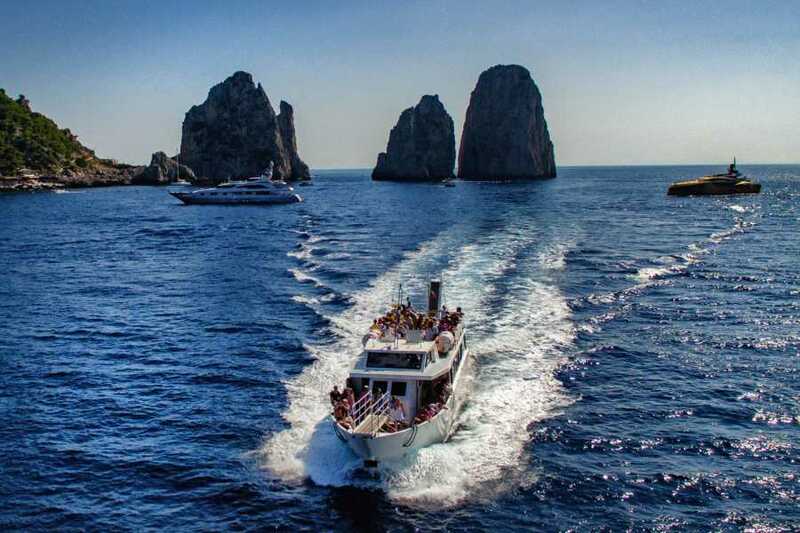 - For the return trip please ask the skipper for exact boarding time and dock number. - The program may vary depending on tide level and weather conditions.